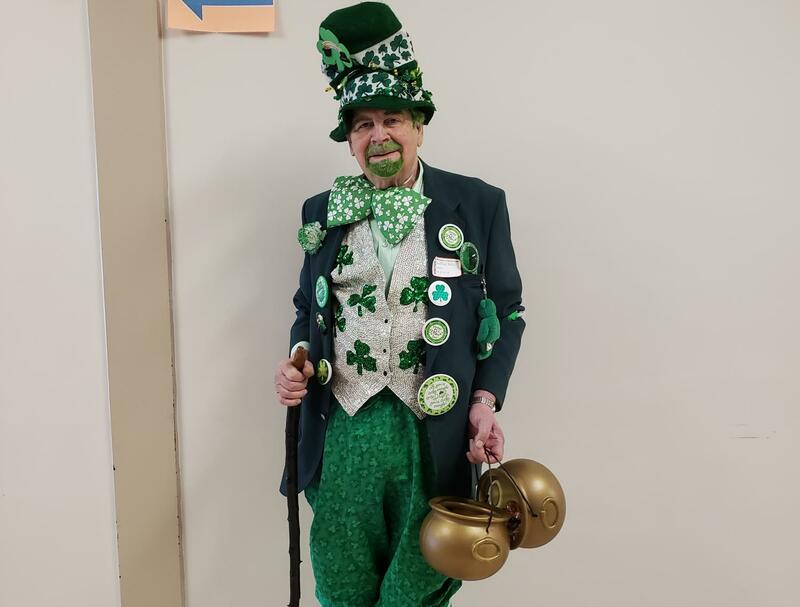 This is a photo of our favorite leprechaun, retired teacher Dan Beahan who visits the school every year. The history of Saint Patrick’s Day goes all the back to 461 AD. The name of the well-known holiday comes from a patron saint of Ireland, Saint Patrick. He was born in Wales, where he was captured by Irish Pirates and sold in Ireland. For several years he worked as a herdsman of sheep and pigs. Although Saint Patrick was not born religious, he became very religious as a slave, believing his kidnapping was a punishment for his lack of faith. Eventually, he was able to escape and return to his family. After having a dream about the Irish telling him to come back and teach them about God, he studied to become a priest. He spent 12 years studying in different countries and soon returned to Ireland. Saint Patrick is specifically known for bringing Christianity to Ireland. He baptized people, created churches, and helped many people have faith in God. The four leaf clover is just one symbol that we use during the holiday because it was the image Saint Patrick used to represent the Christian Holy Trinity. It is believed that St. Patrick died on March 17th, the day many countries celebrate Saint Patrick’s Day. Saint Patrick was, and still is, valued by many people from all around the world.